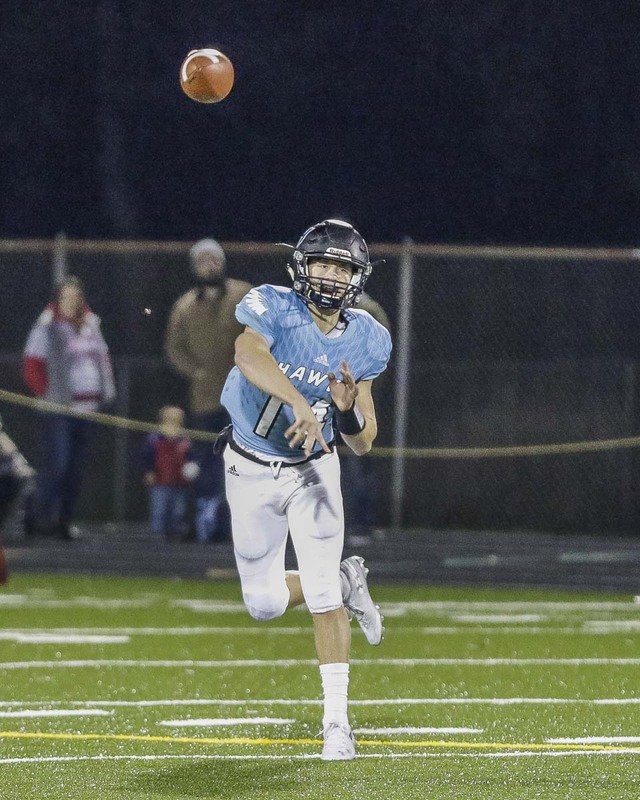 BATTLE GROUND — The Hockinson Hawks know when it’s playoff time. After cruising through the high school football regular season undefeated, the Class 2A defending state champions know all about the postseason. They showed that with a 47-14 win over Washington in a first round state playoff game Friday at District Stadium in Battle Ground. 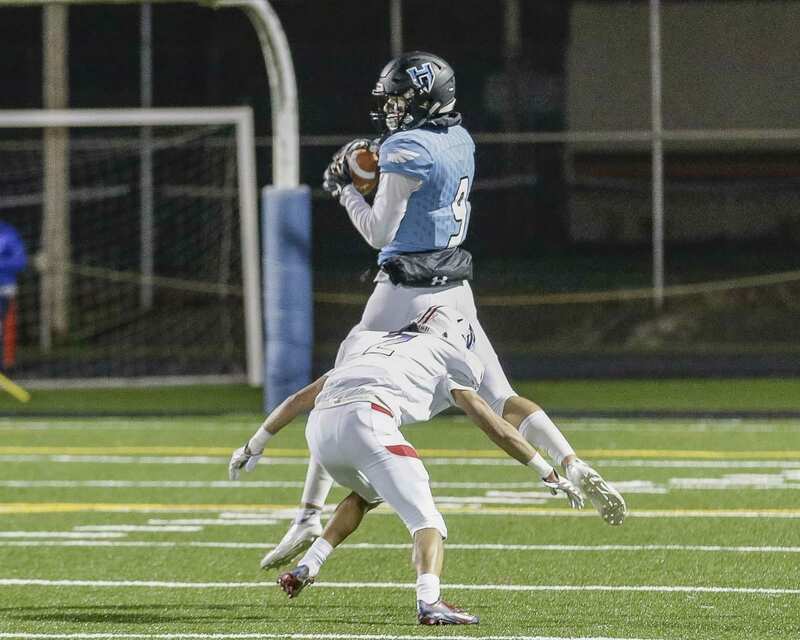 Hockinson dominated from the beginning of Friday’s game, both offensively and defensively. Peyton Brammer had three of his four touchdown receptions in the first half and also added an interception on defense. The Hawks’ defense held Washington to just 12 total yards of offense in the first half. Steele had special praise for his linebackers, including senior Jonathan Domingos, who had 10 tackles. 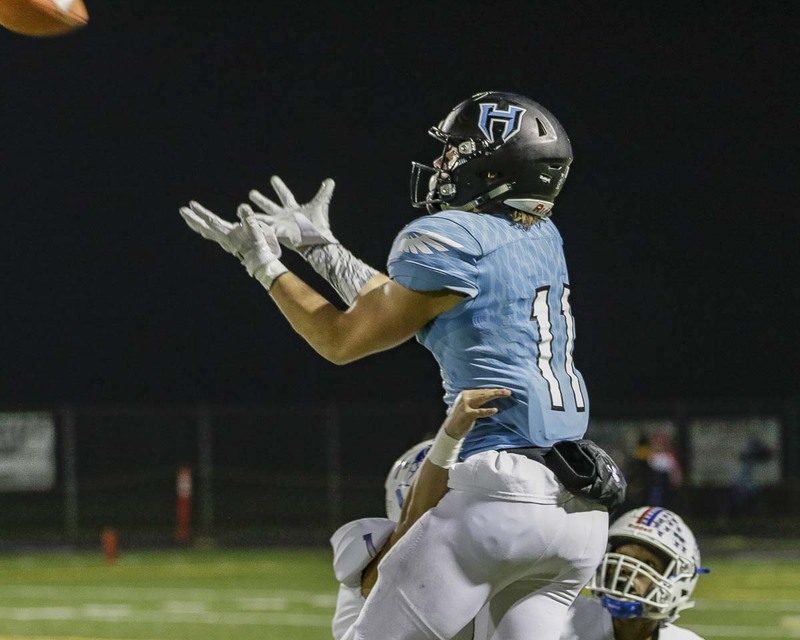 What would a Hockinson victory be like without some prolific numbers from the Hawks’ offense? Quarterback Levi Crum completed 28 of 47 passes for 343 yards and six touchdowns. Brammer had eight catches for 72 yards and the four touchdowns and Sawyer Racanelli had 12 catches for 213 yards and two touchdowns. Racanelli also added a rushing touchdown. The No. 1-seeded Hawks will face Steilacoom in the quarterfinals next weekend. The game is expected to be played Saturday at Doc Harris Stadium in Camas. Official details of the game time will be announced early next week.